CRANE CENTER KAMAZ LLC, a joint venture of KAMAZ and the Austrian PALFINGER AG concern, took part in the XV international “Black and non-ferrous metal scrap” exhibition held in Moscow. An improved modification of the best-selling sales was presented at the exhibition – the KAMAZ-65115 scrap truck with Palfinger VML74M State Medical University with the truck body capacity of 30 cubic meters. The product was refined according to the customer’s request — the fixed supports of the hydraulic manipulator unit were installed and the chassis components and assemblies were protected from falling scrap. The scarp truck caused a great interest of visitors. After the event, special machinery remained in the capital and was transferred to the purchaser. The exhibition copy will be involved in the transportation of scrap and work on the loading and unloading of materials. Scrap trucks are in high demand in the special equipment sales market, the request is growing yearly. Thus, the sale of scrap trucks in 2018 amounted to 556 units (an increase of 49% compared to 2017). At the same time, the share of them on the KAMAZ chassis in 2018 was 398 units, which is 72% of the market. KAMAZ-LEASING financed the purchase of five KAMAZ-5490 NEO truck tractors by Avtoholod LLC. The fleet of the company specializing in providing transportation services to legal entities was supplemented with KAMAZ-5490 NEO truckS. The lessee company is using leasing from the manufacturer for the first time. The transaction was concluded under the “Leasing from the manufacturer” program which implies favorable conditions for small and medium-sized businesses. The client purchased vehicles due to the increase in number of orders and the expansion of the fleet. The cars are equipped with the Daimler OM457LA (Euro-5) fuel-efficient engine with 401 hp, a comfortable four-point cab and a berth (the car can be equipped with a second berth upon request), as well as a ZF 16S2220 TD gearbox, an electropneumatic braking system (EBS), Electronic Course Stabilization Progra. (ESP) and Traction Control (ASR). In addition, among the features of the technology is an optimized distribution of loads on the axles, the control of the load on the driving axle and the fuel reserve increased to 760 liters. You can learn more about KAMAZ leasing programs on www.kamazleasing.ru. KAMAZ Leasing Company continues to implement its regional extension strategy. The new representative office started working in the south-eastern part of Russia – in the Khabarovsky Krai. Currently, the regional network of KAMAZ-LEASING has seven branches in the major cities of Russia – Moscow, St. Petersburg, Irkutsk, Yekaterinburg, Nizhny Novgorod, Krasnodar and the Khabarovsky Krai. “Opening a new office will let us become closer to existing and potential customers and better understand the needs of the regional leasing market,” said Andrei Gladkov, general director of KAMAZ Leasing Company. 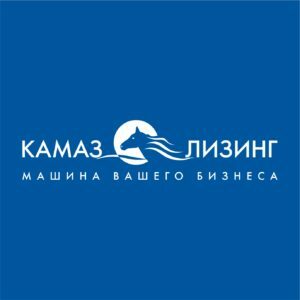 In the new representative office of KAMAZ Leasing Company, located at Khabarovsky Krai, Khabarovsky District, Mirnoye Village, Solnechny Lane, 6, customers can receive advice on purchasing KAMAZ vehicles and equipment for service centers on leasing programs from the manufacturer. Moreover, a representative of the company can visit the customer in his office, as well as with him to the KAMAZ dealership center to select a program for the purchase of equipment on leasing conditions together with the supplier. 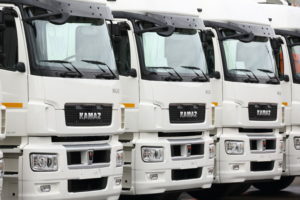 Today, the “Leasing from the manufacturer” program is among the existing programs of KAMAZ-LEASING which is equally beneficial both for small and medium-sized businesses. Also part of the product line is a proposal for the rental of equipment withdrawn from leasing and a special product for the dealer network of KAMAZ PJSC – “Equipment Leasing”. In addition, KAMAZ Leasing Company introduced the Electronic Leasing System, which allows to significantly speed up the exchange of documents between the leasing company and the client. The company has transferred the work with corporate clients to individual approach. More about the leasing programs from KAMAZ at www.kamazleasing.ru.